Brian joined Sagemark Consulting/Lincoln Financial Advisors in 2000, as a Regional Director of Financial Planning and Director of Investments. His responsibilities included document review, plan design and manufacturing, wealth management, and portfolio reviews throughout the Mid-Atlantic Region. Brian has advised his clients on a variety of planning concerns, such as estate planning, retirement planning for accumulation and distribution, education funding, risk management, and charitable planning. In addition, he counsels clients on employee restricted stock and option planning, and diversification techniques for highly concentrated stock positions. Brian has designed and/or written over 600 comprehensive financial plans, advised on more than 12 miillion employee stock option share grants, and trained seasoned stock brokers and insurance agents on the benefits of comprehensive financial planning. He is intent on working only with successful individuals and business owners who have committed themselves to their financial futures and that of their family. 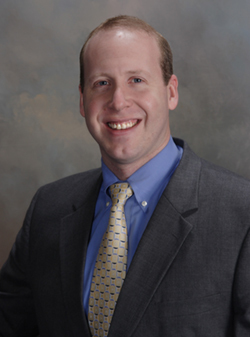 A graduate of Virginia Polytechnic Institute and State University, Brian majored in Family Financial Management. He is a CERTIFIED FINANCIAL PLANNER™ professional, and holds the Accredited Asset Management Specialist (AAMS®) designation. Each year since 2007, he has been named a Select Planner with Sagemark Consulting/Private Wealth Services, a division of Lincoln Financial advisors which focuses on clients in the "Very High Net Worth" market. Since 2013, Brian has been recognized as one of 9 Advanced Select Members*. He began his finanial services career in marketing and database management with Janney Montgomery Scott and Life of Virginia. He has also worked with Fulcrum Financial Advisors as a retirement planning specialist and MetLife as a Senior Case Consultant. Brian as his wife, Jennifer, live in Apex, North Carolina, with their daughters Taylor and Charlotte, son Parker and their boxer Lucy.